The 21st Century has continued to be an exciting time for libraries. Modern libraries are expanding their information service from access to knowledge, and offering a wider range of resources to support inspiration. At BGS, we aim to provide a library service that gives boys the opportunity to be creative, innovate and explore through a range of mediums. 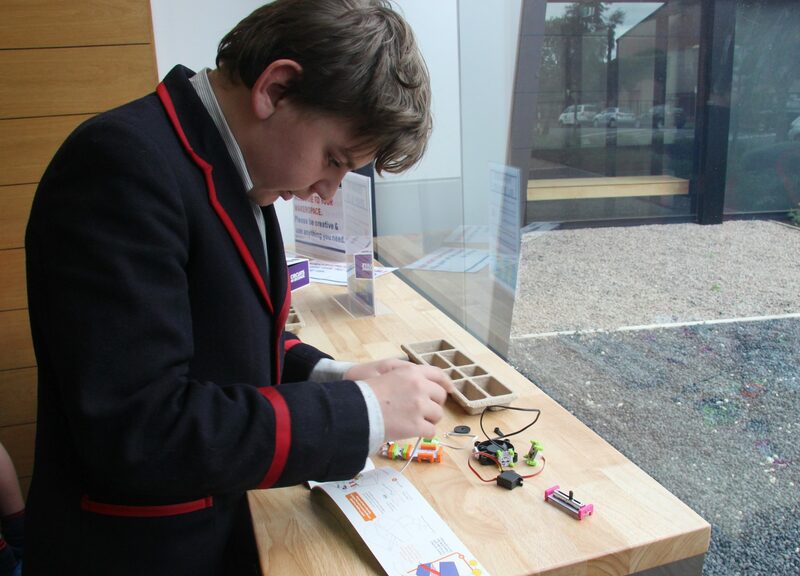 In order to expand the Year 7 and 8 boys’ opportunities to create and innovate, the BGS Middle School Library decided to implement a makerspace. A makerspace is a place where users have access to some tools, materials, a little expertise, and plenty of opportunities for them to tinker and create. Makerspaces have been a growing trend in libraries since the maker movement formally began in the mid-2000s in San Francisco, when Maker Media published the Make: Magazine and hosted the first Maker Faire. Although we believe that it’s fair to say that the need and fascination to make has occurred since the beginning of time! 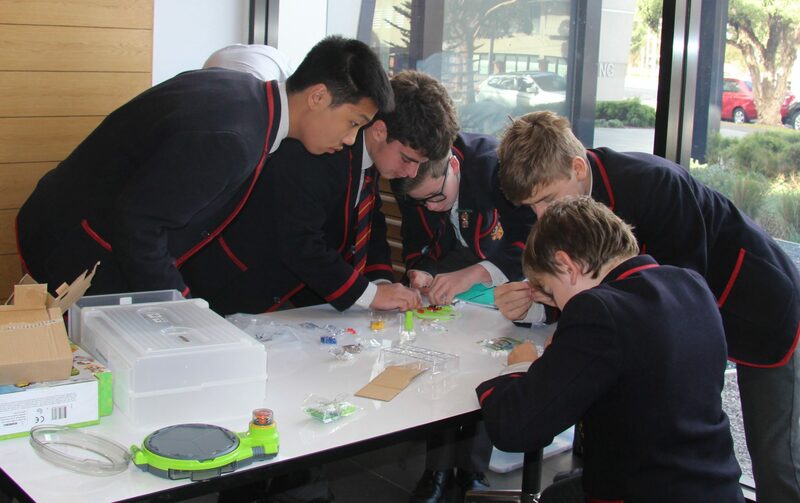 At the Middle School Library, we began our own makerspace journey by establishing a Maker Trolley, which is available for all Year 7 and 8 boys to use at lunchtimes on Mondays, Tuesdays and Thursdays. Various items are currently fuelling the boys’ creative ideas, including: Plastimake, Littlebits electronics, Makey, Wacom drawing tablet, 3D pens, manga drawing kits, quixels, bunchems, playdough, kinetic sand and craft materials. The boys’ recent innovations include a small-scale rocket ship, which is being designed by a group of Year 7 boys. They are planning using the Wacom drawing tablet, and bringing their designs to life using playdough. The boys aim to create the rocket ship using Plastimake. One of the Year 8 boys who is undertaking a similar task as part of his iDesign project is happily sharing his expertise with the Year 7 group, helping them, quite literally, get their project off the ground. We’ve also seen some fantastic small scale ventures being undertaken, including a cardboard dog with LED eyes using Littlebits, and some very interesting creatures emerge from pipe cleaners and Lego. Not only are smaller-scale projects coming to life, but we are seeing designs begun and then remain uncompleted, and/or sometimes finished by a different group of boys. We believe this is all part of the beauty in maker culture that enables the boys to work according to their individual intellectual, social and developmental needs. Feel comfortable and confident working and exploring at their own pace, without the added pressure of comparisons, subtle competition or deadlines. Take risks, the boys feel empowered to just give it a go, and accept failure due to the safe and supportive environment. Respond positively to the hands-on opportunities to explore emerging technologies, and get comfortable with experimentation. Collaborate and network with boys who are outside their usual social circles. We’re excited about continuing the maker journey alongside the boys. We plan to further develop the Middle School makerspace, and also intend to implement a similar service in the Senior School Library. Eventually, we hope to be able to provide boys of all ages with the opportunities to become the innovators of tomorrow. We can’t wait to see what the boys come up with next!